Daniel Holland and Des Morgan swap cards after the third round.Des Morgan has a one stroke lead with a round to play in the Mullingar Scratch Cup but with just six shots separating the top 14, a tight finish looks certain. 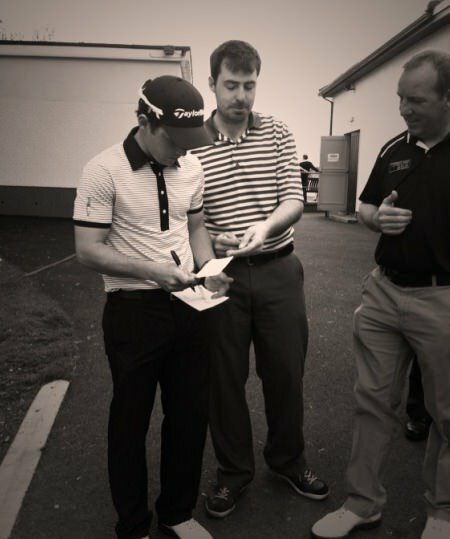 The home hero, bidding to become the first Mullingar winner in the event’s 50th year, carded a third round 74 to find himself in front on five under after playing partner Daniel Holland of Castle drove out of bounds and ran up a triple bogey seven at the 17th en route to a 73. Mullingar’s Liam Gregan, (68), Portmarnock’s Geoff Lenehan (69), Tullamore’s Stuart Grehan (68), Warrenpoint’s William Hanna (72) and 2011 champion Nicky Grant of Knock (70) are just two behind. Morgan, who underwent a heart intervention just 10 weeks ago, struggled in perfect morning conditions but did enough to keep his title hopes intact. However, the chasing posse will have a chance to post a formidable target with the likes of Claremorris’ Stephen Healy just three behind after a super 67 earlier today. John Ross Galbraith in 2010. 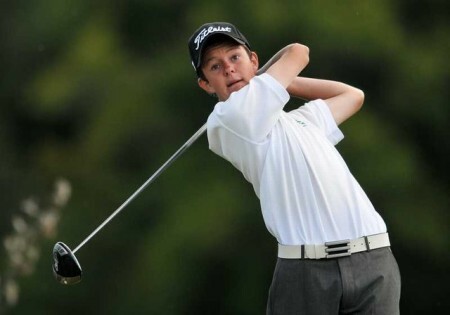 Picture courtesy Pat Cashman, GUI.Walker Cup star Paul Cutler and Whitehead teenager John Ross Galbraith will take a one-stroke lead into Sunday’s final 36 holes at the Mullingar Grant Thornton Scratch Trophy. Irish Boys international Galbraith shot a two under 70 and Portstewart man Cutler a level par 72 as they topped the leaderboard by a shot on two under par from first round leader Ian Brennan (69-74) with Knock’s Nicky Grant (73-71) just two shots behind on level par. Dessie Morgan in full flowDessie Morgan can become the first home winner in the 50-year history of the Mullingar Grant Thornton Scratch Trophy after a sensational second round 67 gave him a share of the lead ahead of today’s 36-hole finale. 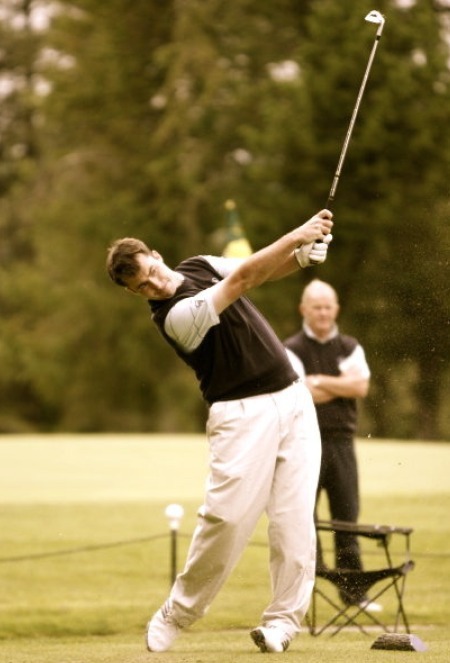 Dessie Morgan hits his tee shot at the fifh on the first day of the Mullingar Scratch Cup. Picture: Thos Caffrey www.golffile.ie…Des Morgan kept his dream of a first home win in the Mullingar Scratch Trophy alive when he added a 70 to his superb five under 67 to take a two stroke lead over Castle’s Daniel Holland into today’s 36-hole finale. Daniel Holland (Castle) holes out on the final green to win the Mullingar Scratch Trophy. 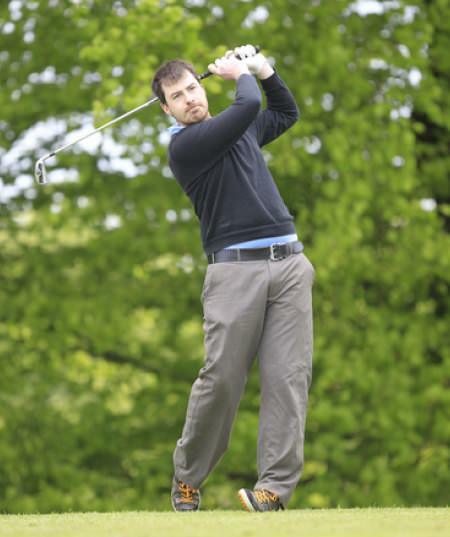 Picture by Pat CashmanCastle’s Daniel Holland broke the hearts of the huge home gallery when he left Des Morgan in his wake and cruised to a three-shot win with a brilliant final round performance in the Mullingar Scratch Trophy.